Manitoba is one of Canada’s three Prairie provinces. It has a relatively flat landscape and summers tend to be hot and humid – perfect for heading to the beach. The province doesn’t share a border with any of the Great Lakes but it does have some great lakes and beaches of its own. 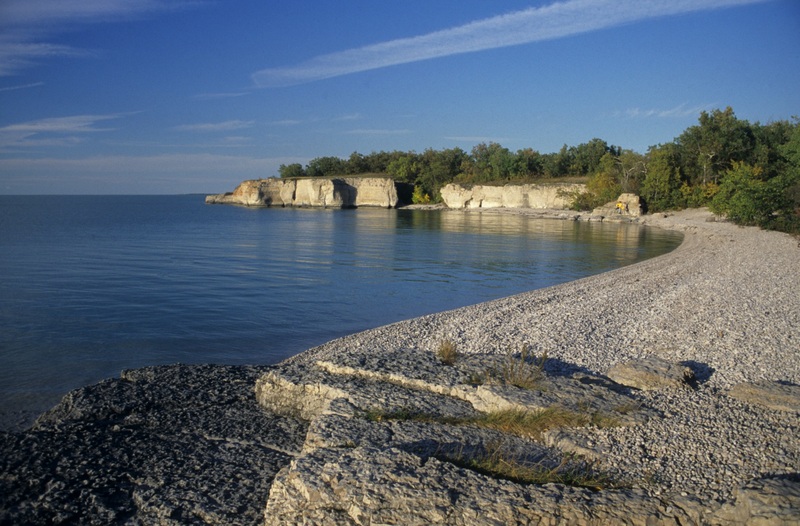 Well-known beaches in Manitoba are easy to find along Lake Winnipeg, Dauphin Lake and Lake Manitoba. All of these are close to the urban hub of Winnipeg. These beaches make for an easy day trip for city dwellers. Manitoba’s lakes are big enough to enjoy recreational water activities. Water skiing, tubing and boating are all popular. They also host campgrounds and cottage rentals for when one day just isn’t enough. In this province, you can find white sand, clear water and sand dunes. Manitoba stretches into Canada’s Boreal forest. This means that its northern beaches have beautiful natural and rugged features as a backdrop to a summer holiday. Clearwater Lake, for example, is a cold water lake in a west-central Manitoba provincial park, with fantastic clear and clean water. There are great opportunities for fishing, boating and swimming (for those who crave refreshment on a hot day). Manitoba’s waters are generally cool, but what they lack in temperature, they make up for in clarity. There are also some shallow lakes, like Lake Winnipeg, that offer warmer waters. These lakes have popular sandy beaches, which allow for a longer swim on hot days. Manitoba’s Provincial Parks host many beautiful beaches. Many of these waterbodies are excellent places for canoeing. From calm lakes to white waters, there is something for every recreational water user. Whiteshell Provincial Park is a popular getaway near the province’s eastern border. With its many rivers and lakes, it offers many water activities as well as more isolated beaches where it’s easy to tune in to nature.